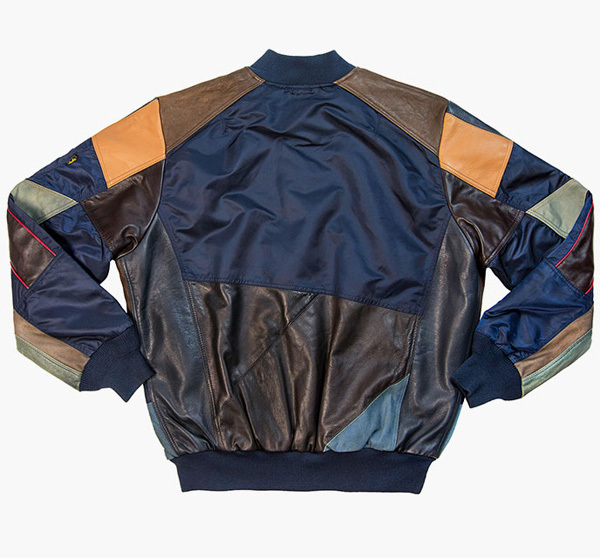 Artist, designer and fashion chef Drx Romanelli has teamed up with a member of N.A.S.A. 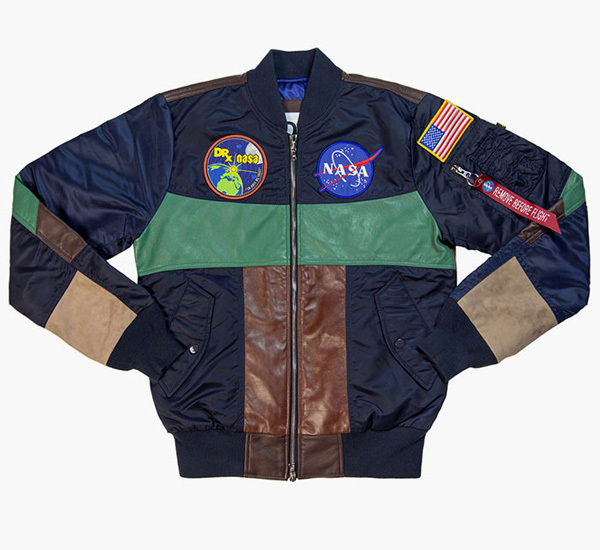 (meaning the DJ/Producer Sam Spiegel more so than the nation’s Space Administration) for a line of jackets inspired by vintage astronaut fashion. 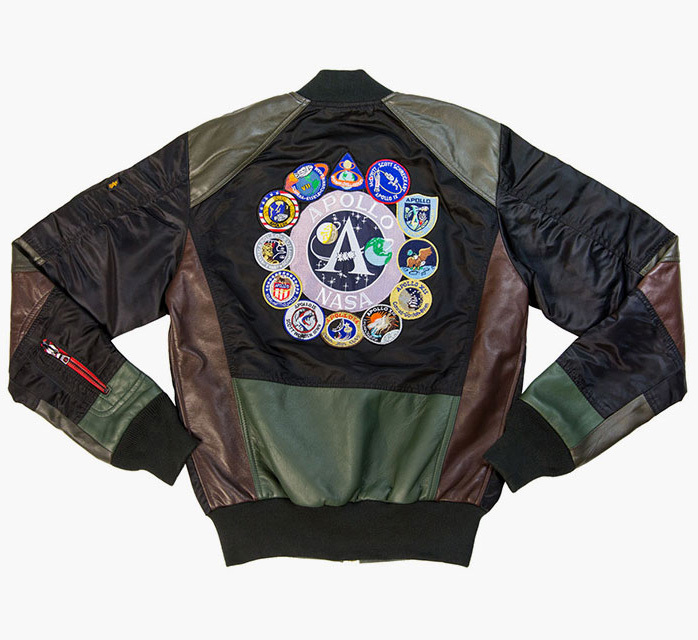 Truly of the one-of-a-kind, made-to-order variety, each jacket is a hand-picked vintage bomber from Alpha Industries’ MA-1 astronaut flight jackets or yore that is then hooked up with color-blocked lambskin leather and finished off with patchwork. 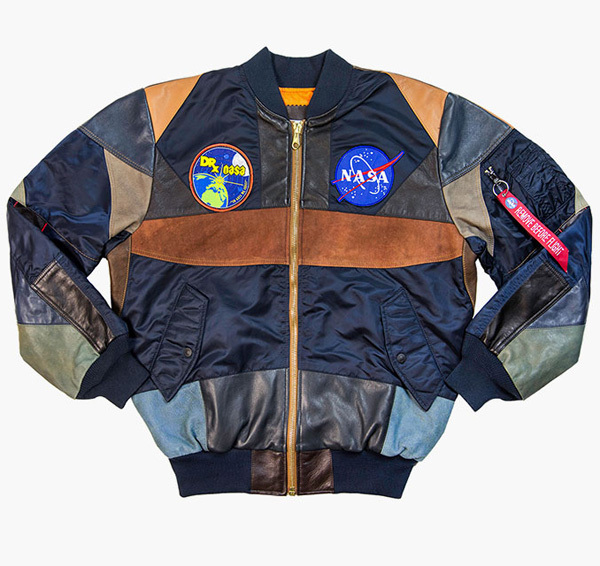 Aside from a zipper sleeve-pocket and a zip-up closure, perhaps the most interesting thing the jacket comes with is a USB chock full of six-minutes of N.A.S.A. sounds. Want your own? Prepare for blast off by custom-made phone-order only at $1,495.